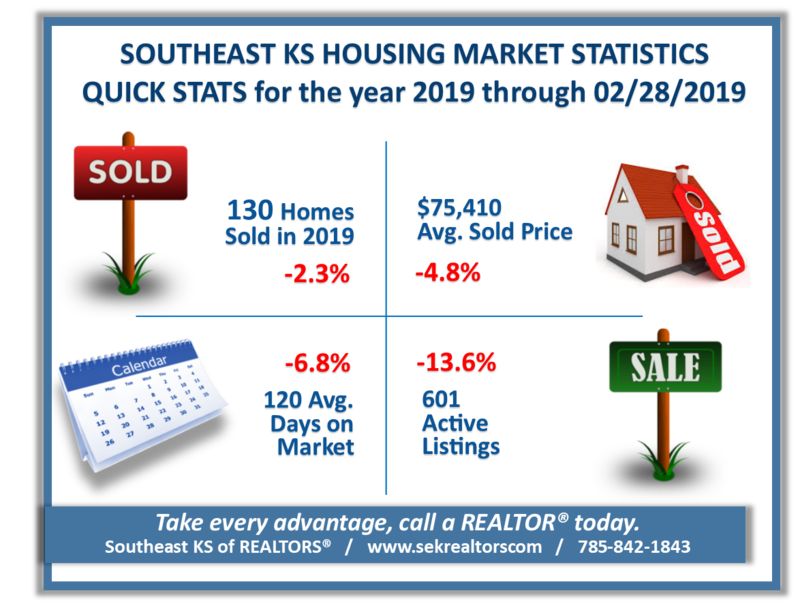 Homes sales in Southeast Kansas rose by 1.5% in February compared to the prior year. 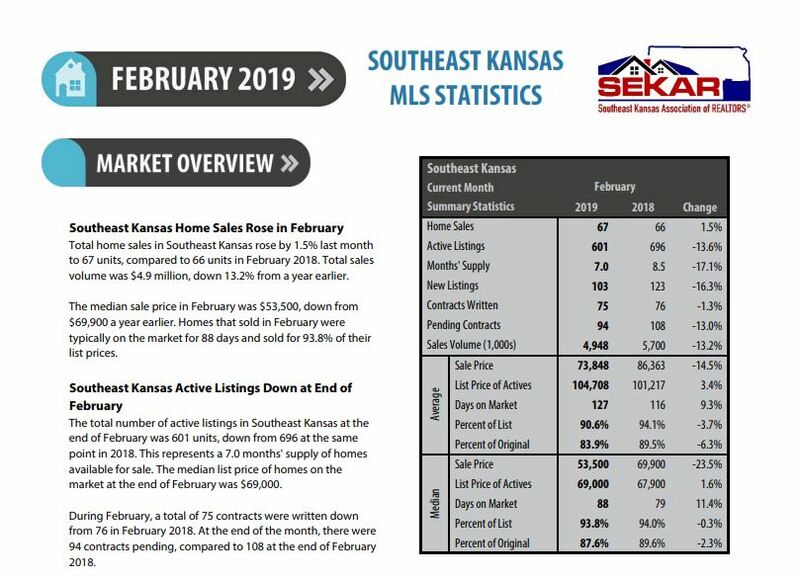 Sales in February 2019 totaled 67 units, up from 66 in 2018. The average sale price was $73,848. 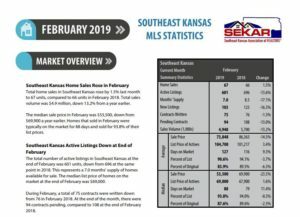 This represents a decrease of 14.5% from the February 2018 average price of $86,363. 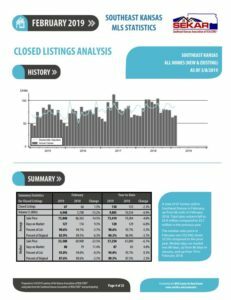 A total of 75 contracts for sale were written in February 2019, down from 76 in February 2018. This is a decrease of 1.3%. Contracts written during the month reflect, in part, sales that will close in the near future. 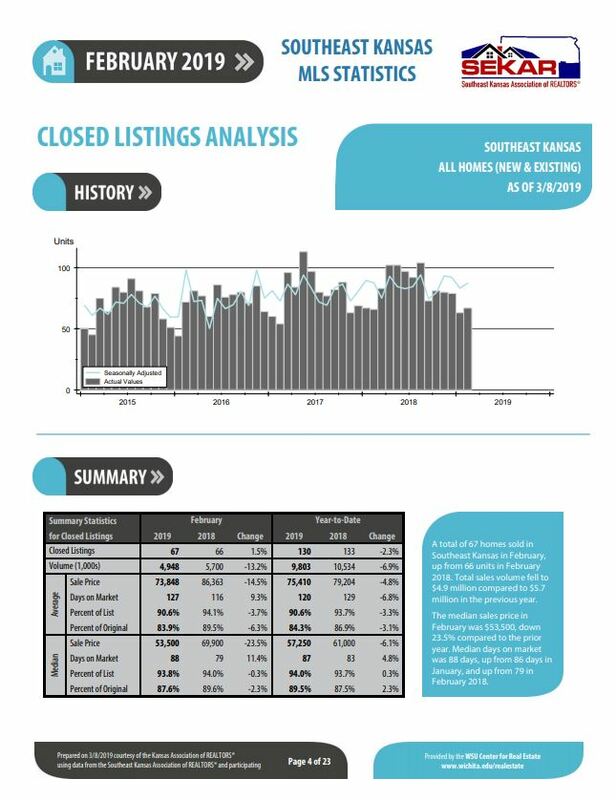 The inventory of active listings in Southeast Kansas stood at 601 units at the end of February, which is down from 696 homes that were on the market at the end of February last year. At the current rate of sales, this figure represents 7.0 months’ supply of homes on the market. For questions and/or comments, please contact SEKAR President Gaertner at 620-330-0812 or resultsteam1@kw.com.